Body Jet Liposuction vs. SmartLipo: What’s the Difference? If you’ve considered undergoing a liposuction procedure in the past, you may have learned that surgeons would use a considerable amount of force to remove fat. During traditional liposuction surgery, the surgeon would use a cannula to forcefully break up and remove fat deposits. This force usually resulted in significant swelling and bruising, which is why liposuction required a lengthy post-op recovery period. If the above reasons convinced you not to opt for a liposuction procedure, there’s good news. 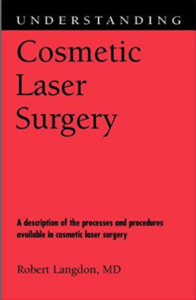 Today, liposuction can be much gentler and minimally invasive than its predecessor. At The Langdon Center for Laser and Cosmetic Surgery (located in Guilford, CT), board-certified plastic surgeon Dr. Robert Langdon specializes in two types of gentle, fast, and effective liposuction procedures. Body Jet liposuction is a new type of procedure that utilizes the power of water jets to safely and gently remove fat from the body. 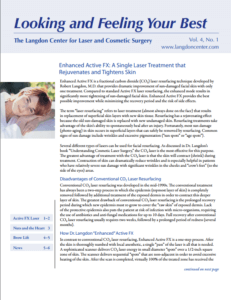 As a pioneer in cosmetic surgery, Dr. Langdon is one of the few surgeons in America to offer this treatment. Rather than using force to break up fat deposits, Dr. Langdon uses a gentle, pulsating spray of fluid, which loosens and removes the fat from connective tissues. The water also helps to drain the fat from the body, all while reducing any swelling or bruising. As a result, clients don’t have to go through all the downtime and recovery typically associated with traditional methods of fat reduction. For clients looking for a minimally invasive approach to liposuction, SmartLipo represents a great alternative. During a SmartLipo procedure, Dr. Langdon makes a small insertion in the treatment area and threads a small cannula to the fatty tissue. The cannula then transmits laser energy to felt fat deposits, which can be manually drained or removed via the body’s waste processes. Like Body Jet liposuction, SmartLipo minimizes bruising and swelling, meaning patients don’t have to undergo a lengthy recovery period. Additionally, SmartLipo is a great treatment option for patients who want to minimize the appearance of cellulite. If you’re interested in learning more about liposuction treatments at The Langdon Center in Guilford, CT, call today to schedule your consultation with Dr. Langdon 203-745-0340.